It's that time of year again - a week to highlight an important issue we should pay attention to year-round, every year. Banning books for ludicrous reasons, usually due to ignorance, misconceptions, disagreements with opinions, political climate bias, and parental over-protectiveness. 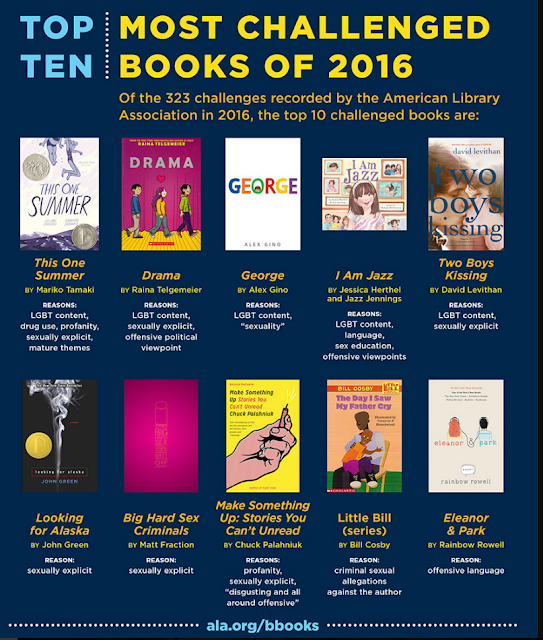 As always, the official website for the Banned Books Week remains the same, bannedbooksweek.org. While promotion and cultural enlightenment has lifted the ban hammer a bit and lightened the severity of banning books over time, or so we'd like to think, "According to the American Library Association’s Office for Intellectual Freedom (OIF) – which tracks reports of book challenges and bans and compiles an annual Top Ten Challenged Books List – there was an alarming 17% increase in book censorship complaints in 2016. Since most challenges are not reported, the actual number is probably much higher." 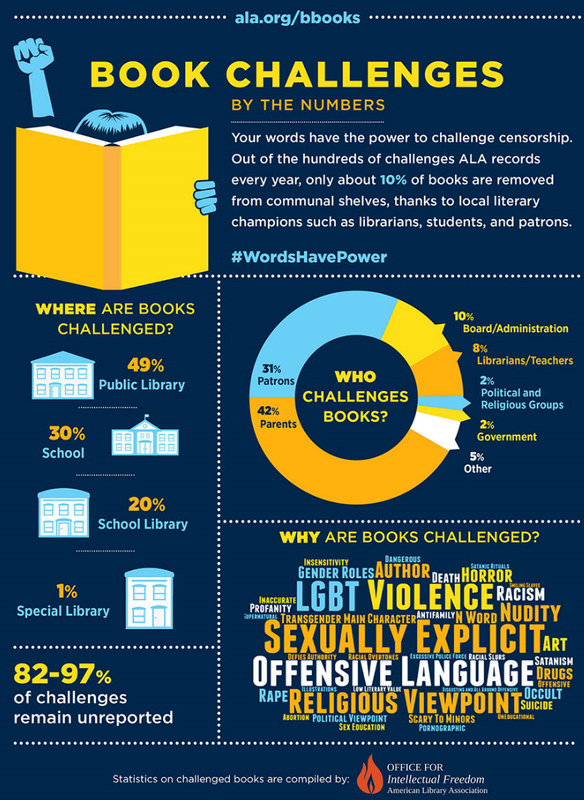 During Banned Books Week (Sept. 24-30), the Office for Intellectual Freedom is hosting a Rebel Reader Twitter Tournament and your library is invited to partner with us! Among the many benefits of hosting a Rebel Reader Twitter Tournament, partner libraries receive a digital toolkit and are entered into a drawing for intellectual freedom-themed prizes. 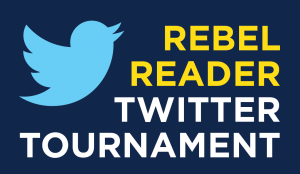 The Tournament encourages readers to complete any of eight action items by posting them on Twitter using the hashtag #RebelReader. The action items are designed to highlight library resources and the joys of unrestricted reading. The Eight Action Items are: Take a Selfie with banned or challenged book; Share a video of yourself discussing censorship or reading from a banned or challenged book; Post a quote from a favorite banned or challenged book; Share a story about an educator who helped you learn about the power of words; Take a picture of a completed ALA Banned Book Week Coloring Sheet; Take a picture of yourself with any 'Words have Power' swag; Share a link to your personal libraries homepage or book selection policy; Tweet some love to a banned author on the list here.